Do you have occasions where you need to make a few quick copies of a project but didn't have the time to run them through your computer or on a manual tower and didn't have the budget for the larger robotic duplicators? The DupeBox is the perfect solution. With a small manageable footprint not much larger than a shoe box, The DupeBox fits in any office or cubicle and works unattended to make up to 25 copies per run. Plus at an incredibly low price point, The DupeBox fits nearly any budget. 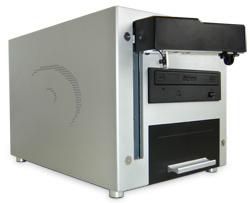 With 25 disc capacity and 1 or 2 recording drive, The DupeBox gives you the ability to work on other matters with the confidence that your project will be duplicated quickly and reliably without breaking the bank. The Dupebox is small but mighty. The StorDigital duplicator range is the most comprehensive in the market place and has been developed to meet the demands of our diverse range of customers. StorDigital duplicators offer unsurpassable degrees of quality and service thanks to strict quality assurance measures we have developed and implemented over the years. 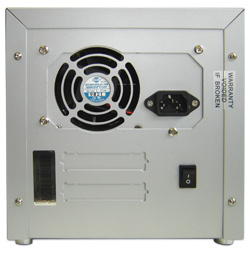 To date we have sold in excess of 14,000 StorDigital duplicators and are a world-wide known and trusted brand. 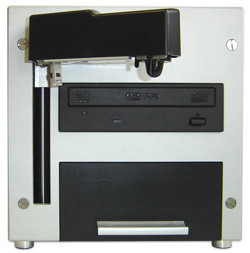 We offer tower duplicators that can print, connect to PCs, add copy protection, are network connectable and can read from card media. 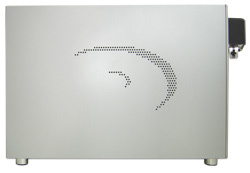 Our duplicators are better because we use better cases, better controllers, better power supplies, and the best drives. We also follow strict quality assurance measures to ensure that all of our duplicators are built to the same exact high standard, time after time. Do not be fooled by over-rated and under-experienced companies who sell lower quality products backed up by poor overseas support. StorDigital and CD-writer.com Ltd is a home grown British business. We are proud of our products, our staff, our company and our customers and we are totally dedicated to giving our customers value for money and the highest quality products. A few £££'s saved at the time of purchase can cost a great deal more in lost production, greater expense from an increased number of failed discs, and lost personal time spent chasing off/shore or inadequate technical support. Compound this with the overall stress caused by realising the cash saving you made was not worth the big headache. So if you are looking for a high quality duplicator that has been designed and manufactured to the highest standard, backed up by professional UK based technical support then choose StorDigital, the name to trust in duplication. DupeBox . 25 . DISC . AUTO . CD . DVD . COPIER . StorDigital . Systems .